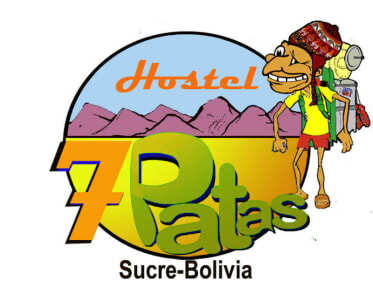 7 Patas Hostel i Sucre, Bolivia : Boka nu! Great, clean hostel. It could use a bathroom or two more. Real nice staff and kitchen. This hostel had nice beds (that already hade been bedded when we arrived🎈), clean bathrooms, a kitchen with any utility you might need and really helpful staff. I would totally recommend this hostel! 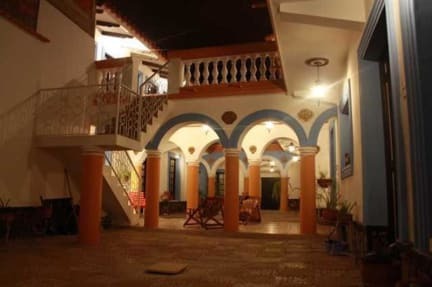 One of the best hostels I stayed at during 6 months of travelling. The kitchen is amazing. 1 min from the food market and 2 min from plaza 25 de Mayo. The hostel always felt clean and very well taken care of. Atmosphere is really chill and I met a lot of nice people here. Please just stay here if you are in Sucre, and enjoy! Great hostel. Good atmosphere, nice staff. Everything you need in the kitchen. Could use a few more places to sit, a hammock would be nice! Really enjoyed our stay and can warmly recommend! Clean and nice hostel. Kitchen are big and it’s a joy cooking “at home”, the fridges are a little bit to small, not so much space. Market is just around the corner and a lot of local buses.